Similarly to the treatment of dense gases and granular flows, Enskog-like kinetic equations are formulated for the dynamics of unidirectional freeway traffic. From these we derive fluid-dynamic equations, which, in comparision with ordinary gases or fluids, contain additional terms due to the dissipative and anisotropic vehicle interactions. It is shown that velocity-dependent space requirements are needed for a realistic description of congested traffic situations and unstable traffic flow. Apart from a calculation of Euler order equations, we indicate how Navier-Stokes corrections could be obtained by means of the relaxation approximation. A linear instability analysis indicates that the Navier-Stokes equations show an additional instability, which is confirmed by simulations. Nevertheless, the Euler and Navier-Stokes equations give rise to similar stop-and-go waves in the non-linear regime. 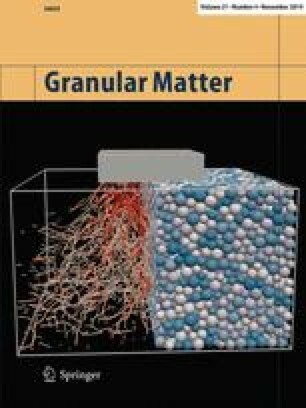 The relevance of the proposed methods and results for describing granular flows is outlined.